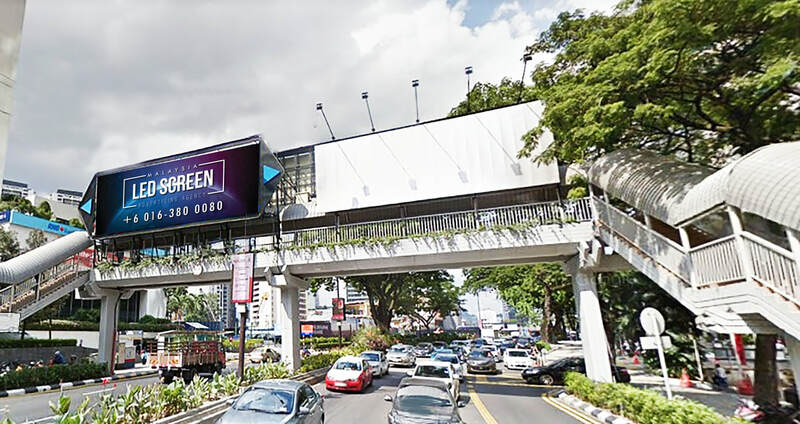 ​Jalan Ampang is known as the major road in Kuala Lumpur. 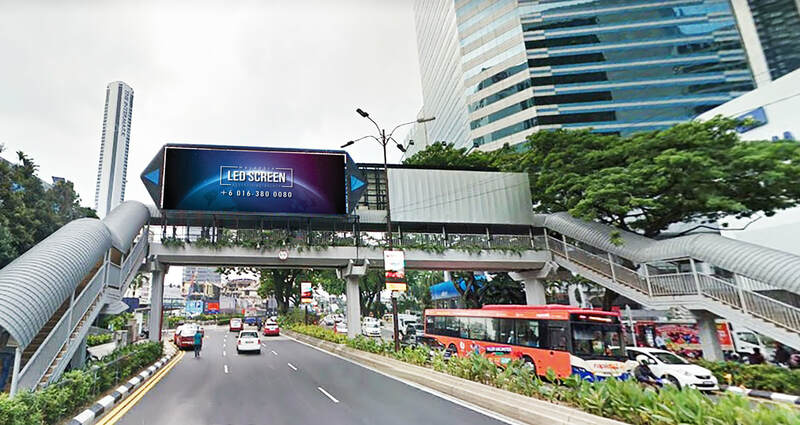 The LED screen is situated in one of the oldest and busiest roads in the Klang Valley region. This strategic location of the LED screen is able to attract the attention of passersby like working adults, business leaders, professionals and urbanites. ​The LED screen can be seen at the overhead footbridges. The benefit of having LED screen advertising is to convey companies' brand message to the audiences effectively. ​The road generally runs in an east-west direction, starting from the junction of Leboh Ampang and Jalan Gereja in the Masjid Jamek area. The road runs eastward past the Petronas Twin Towers and the embassy row, until it reaches the eastern part of Ampang. The street is named as Jalan Ampang because it is connecting Kuala Lumpur to Ampang Town.